I'll be picking this up once it's out. It's similar to Smash Bros so it has to be fun, and it's got a really nice roster so far. Who are some characters you'd like to see in the game? Personally, I've got my fingers crossed for Lightning, Sackboy, and Klonoa. I'm still getting this game, but I really must say that they seriously disappointed me in terms of that roster. They lied about it a lot. Saying that there was going to be "more characters than you think", when I don't think a single person thought there would be under 20. And two Cole MacGraths? Not cool. Considering that the first Smash Bros. had 12 characters and only a handful of franchises represented, this game's roster isn't bad, for the most part. I like a lot of the choices (aside from the essentials, I was pleased that Sackboy, PaRappa, and Heihachi made it), some are strange but acceptable (Raiden over Snake), and others are just bad (Evil Cole and DmC Dante). I'm also surprised by the absence of Lara Croft, Crash, and Cloud/Lightning. I guess that's what DLC is for, but then, it's not really a good sign when one is looking forward to DLC before the game comes out. Exactly, DLC is a huge sell-out. And another problem is, with the already little amount of characters, was it really necessary to have two Coles, only two females, and Big Daddy? I am looking forward to this game, but there are instances where a company wanted their character in the game, and SuperBot never got back to them. You may have not heard of them, but Oddworld Inhabitants made two Playstation hits starring Abe. And they had a discussion with SuperBot about it, and then SuperBot never got back to them, likely in favor of people like DmC Dante, or Fat Princess. Ha, sorry to rant to you, just a few things that have been bothering me. I am sure the game will be great though. Game's out now, though I don't have it yet. Anyone who does care to share their thoughts? Also, Kat from Gravity Rush and Emmett from Starhawk have been announced as free DLC, coming early next year. That's DLC done right, IMO. Legitimate content they didn't have time to work into the final game, and the fact that it's free is icing on the cake. Waiting on it's arrival from Amazon, so I haven't been able to enjoy it yet. I have heard great things about it though. And yes, I was happy to hear that it was free as well. But they are keeping Snake from us, there is no way Eric Laden was mistaking someone else as David Hayter doing voice acting. But yes, can't wait to finally play it on Monday, the estimated arrival time for the game. But sadly I am also getting Hitman on that day, so that might have to wait. But the original SSB dates back to when there were no such things as DLC, Wi-Fi connection, or online gaming. Virtually all fighting games have at least 40 characters these days. I'm still hoping for Lara Croft and Cloud though, they'd be the perfect additions to the roster. But they are keeping Snake from us, there is no way Eric Laden was mistaking someone else as David Hayter doing voice acting. "Virtually all fighting games have around 40 characters". Not from the beginning they don't. 20 characters has basically been the average for new fighting games this gen. BlazBlue and Persona 4 Arena (the two major new fighting franchises) started out with around 12 characters each. Sure, you can argue this is because they're 2D, but Street Fighter IV started out with about 20 characters in the arcades, as did Tatsunoko VS Capcom and Injustice. The former has 44 characters now, but that's because of half a decade's worth of expansions and updates. Off the top of my head, the only fighters this gen to have around 40 fighters at the start without updates are Super Smash Bros. Brawl (the third in the series, mind you), Tekken 6, and Marvel VS Capcom 3, and that's due to a combination of lengthy development times and (for the former two) their directors' philosophy of packing their games with as much content as possible, as well as the fact that Tekken only cut one character from the previous installment. I'm not counting Street Fighter X Tekken because it uses SF4's engine and nearly half the roster is recycled from that game. Also, Sony broke up with SuperBot, so any more DLC or a sequel is pretty much impossible. No more DLC or a sequel? Bummer. I remember all the hype about the countless possibilities there are when it comes to other characters they could've added. 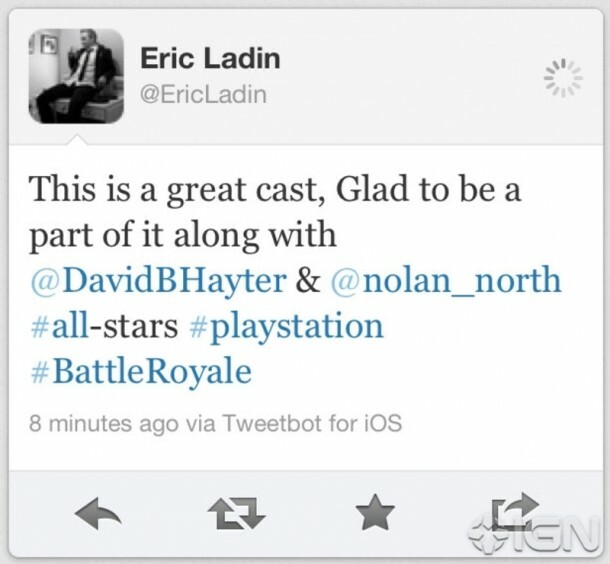 PS All-Stars was shaping up to be a worthy fighter. This game seriously needs to have Lara Croft though. I just feel that there's no way Eric Laden was kidding, or mistook David Hayter for somebody else, and a cut developer claimed there was an original plan to have Old Snake in the game, but I guess they either wanted to advertise the (then) upcoming Metal Gear Rising with Raiden's inclusion, or they didn't want a character that was also in SSB. It's too bad, I found the game pretty fun, but lacking in material after a little while. Here's hope for a sequel that is used less as an advertising tool.